What did you think about Gotham, Rise of the Villains: Worse than a Crime episode? Let's discuss in the comments. What did you think about The Flash: Legends of Today episode? Let's discuss in the comments. For those of you still following my blog I will be providing some content soon and getting back on track with posting regularly. If I do get behind again please feel free to stalk, I mean follow me on social media. I was thinking last night about changing my name from Geek Faerie to Gossamer Geek. Any thoughts from the internet? Good morning, duckies! What a lovely Friday Eve we are having don't you agree? 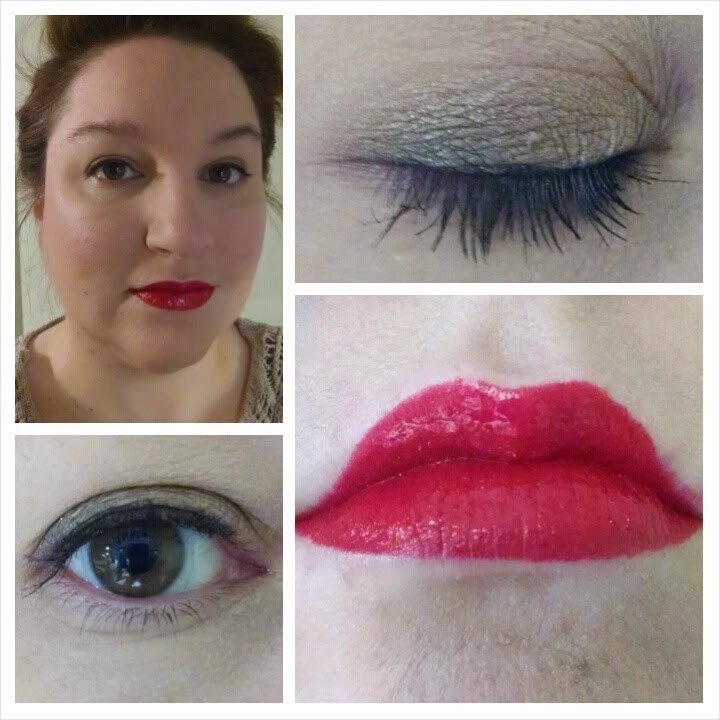 I did another Face Of The Day (FOTD) that I wanted to share with you all. This time I had some fun with peacock colors for a punched up work look. This look would also work well with glasses. I think it turned out very nice don't you? and of course my foundation and primers: Too Faced Eye Shadow Insurance, Benefit Cosmetics Porefessional Primer, Pixi Beauty Redness Reducing Primer, Urban Decay Naked Skin Weightless Ultra Definition Liquid Makeup, and Urban Decay Naked Ultra Definition Pressed Finishing Powder. Apply your primers and foundation as you normally would be sure to blend. Don't forget your neck! Pat B2 to the inner corner of your eye and sweep toward the center or your eye. Pat A2 from the center of your eye to the outer corner. Blend where the colors meet if necessary. Starting from the inner corner to the first third of your eye apply Asphyxia to the lash line. Starting from the first third to the second third of your eye apply Deep End to the lash line. Starting from the last third to the outer corner apply Mars to lash line. Liberally apply your mascara. You want those lashes to look fluttery and beautiful! Apply blush to the apple's of your cheeks. Smile big when you do. Line your lips with Ozone and apply Hot Mess for opaque coverage. 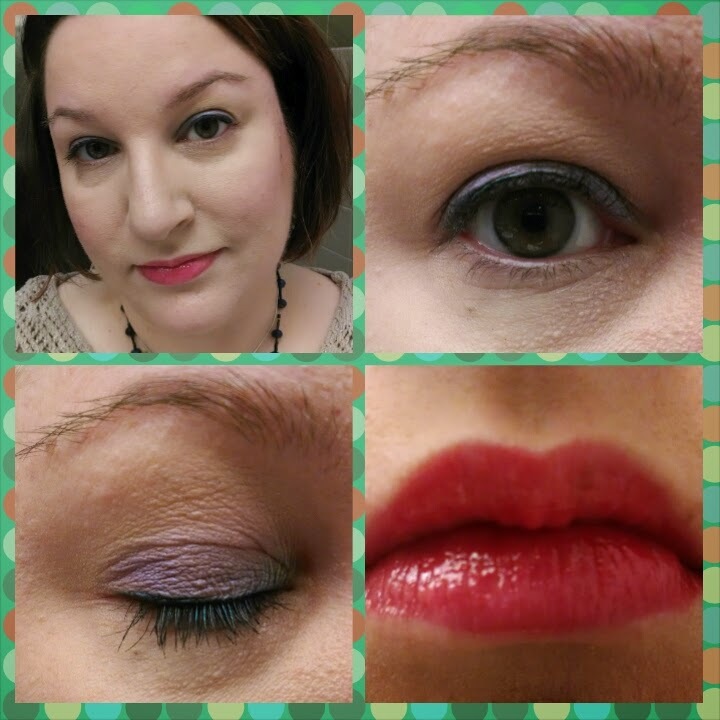 After seeing the Maleficent movie last night I was inspired to do a work appropriate face of the day (FOTD). Start by applying your moisturizer, primer, and foundation. Sweep Suspect across your entire eye lid. Pat Snakebite on the outer 2/3 of your eye lid. Pat Blackout on the order corner of your eyelid. With an angled liner brush press Blackout along the outer 2/3 of your lash line. Apply a thin line of Black Shimmer onto the outer 2/3 of your lash line. Sweep Miss Manga on your lashes with a few extra sweeps to your outer lashes. Dust the apples of your cheeks with Briar Rose. Apply 10 to your lips and dot Revenge Is Sweet for a touch of shine. What do you think? The movie was fantastic by the way. Go rock this look if you plan to see it! What TV show gets your Geek heart going?